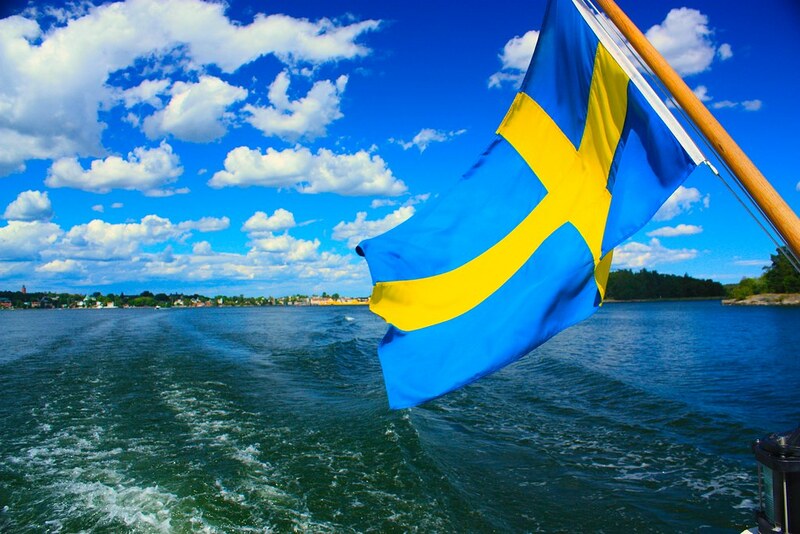 One of the great attractions in Stockholm is its archipelago, a network of islands in the Baltic Sea, east from the city. 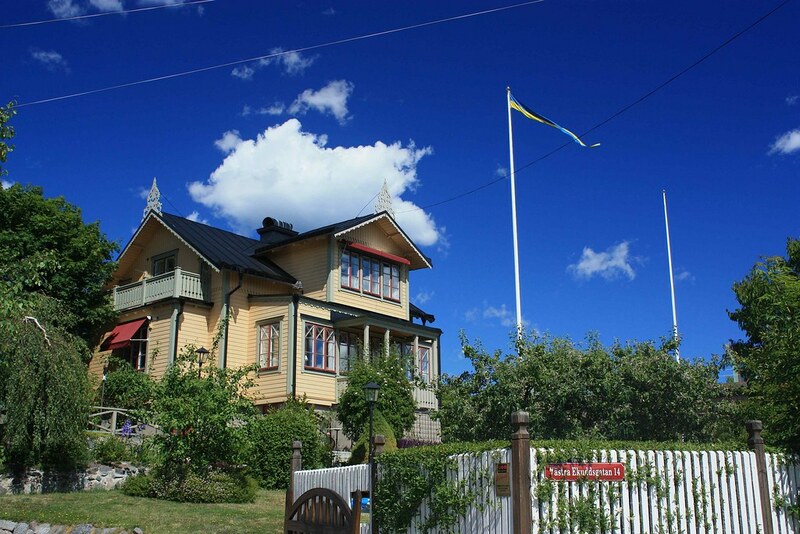 An easy get-away from the city, Vaxholm is a favorite for many, accessible by bus, by car, or by ferry. 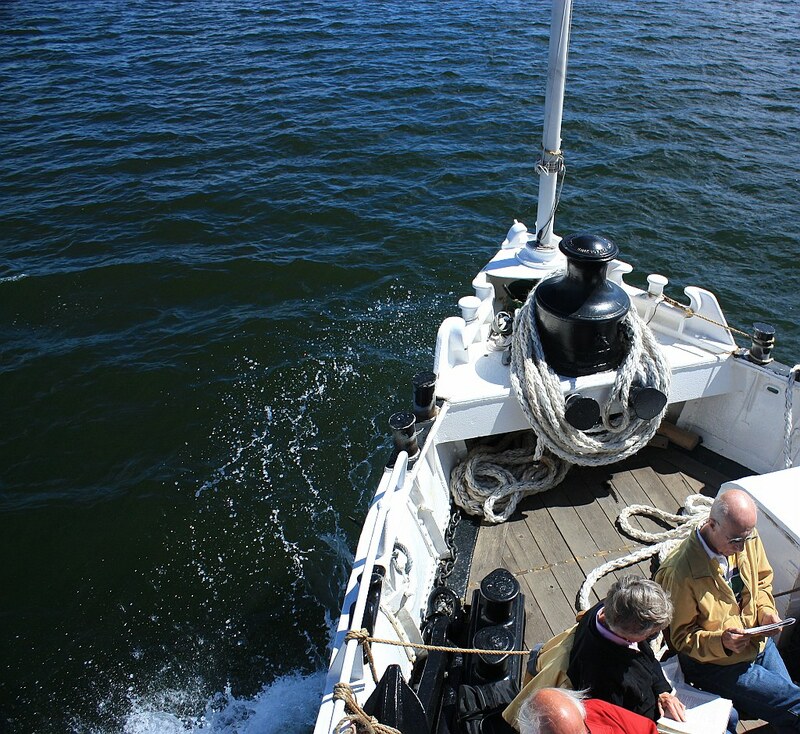 It is with the latter, the Waxholmsbolaget ferry service, that I set off on a day trip. 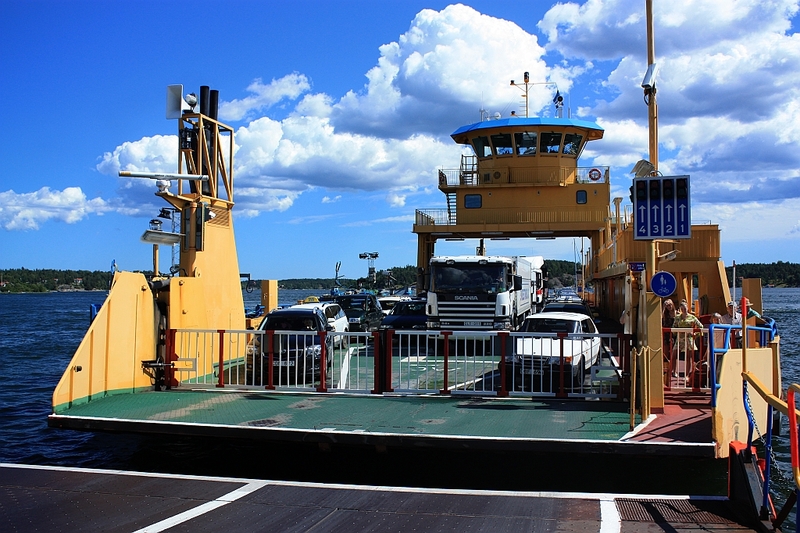 I boarded the boat at Stockholm Strömkajen for the hour-long ferry to Vaxholm. The return boat journey puts me back at Stockholm Strömkajen. 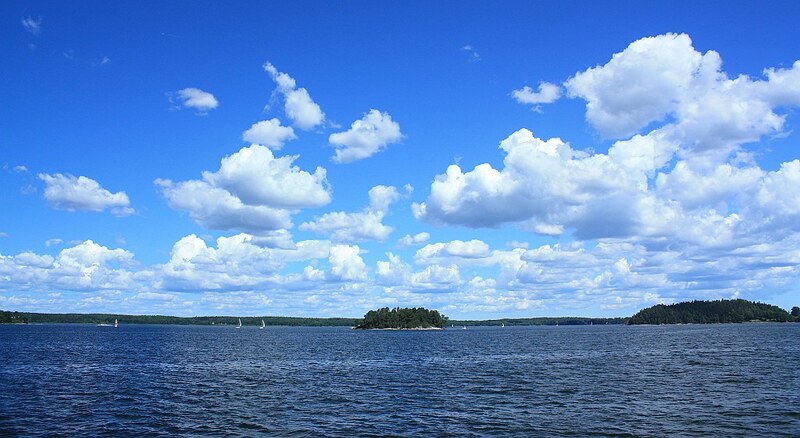 Vaxholm, called the archipelago’s “capital”, is the gateway to Roslagen from Stockholm. 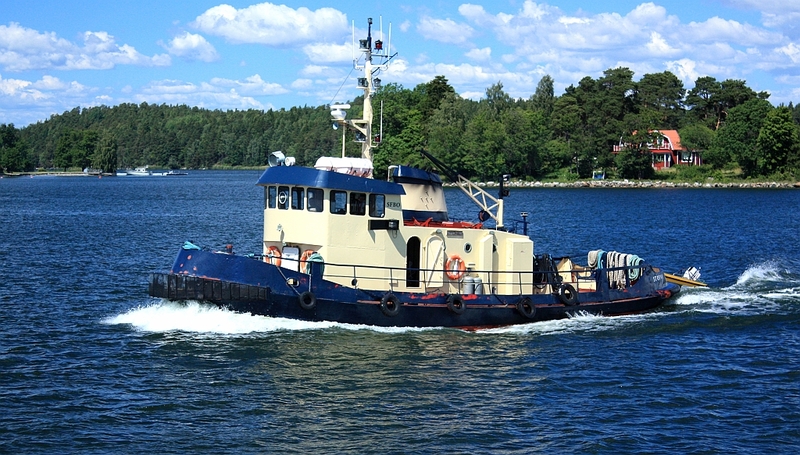 The town is a hub for boats travelling to the central and northern archipelago – Roslagen’s archipelago. 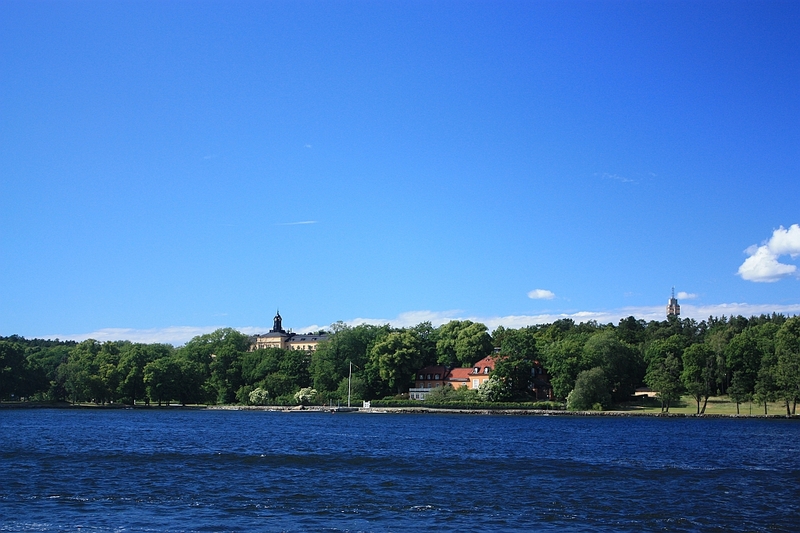 Vaxholm’s municipality includes about 70 islands. 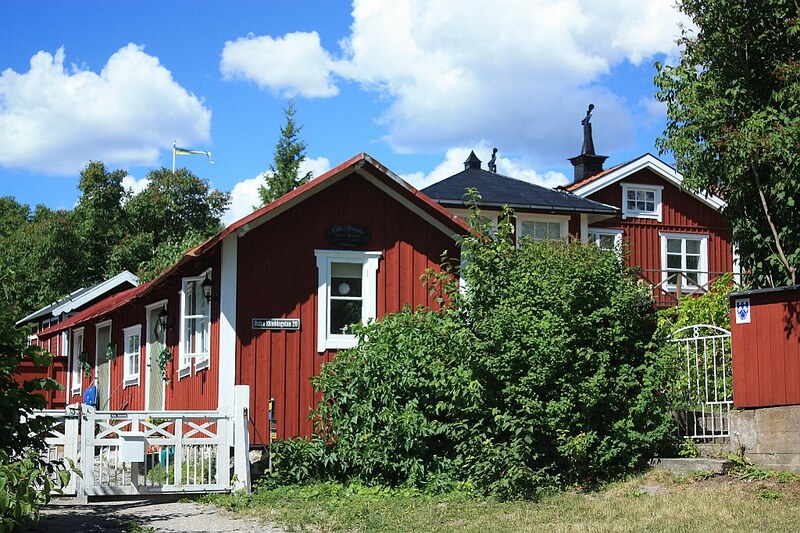 Vaxholm has lots of trees, beautiful homes and cottages, all within easy reach of the water. 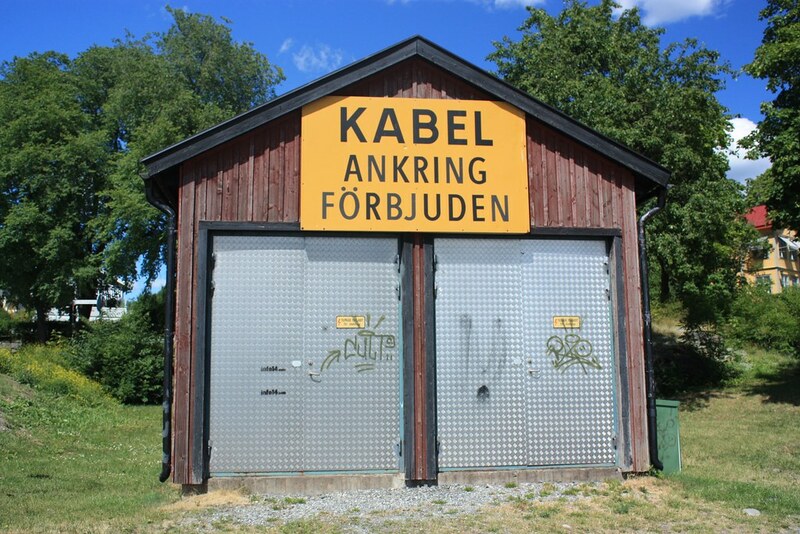 Because of its proximity to Stockholm, Vaxholm can also be expensive. 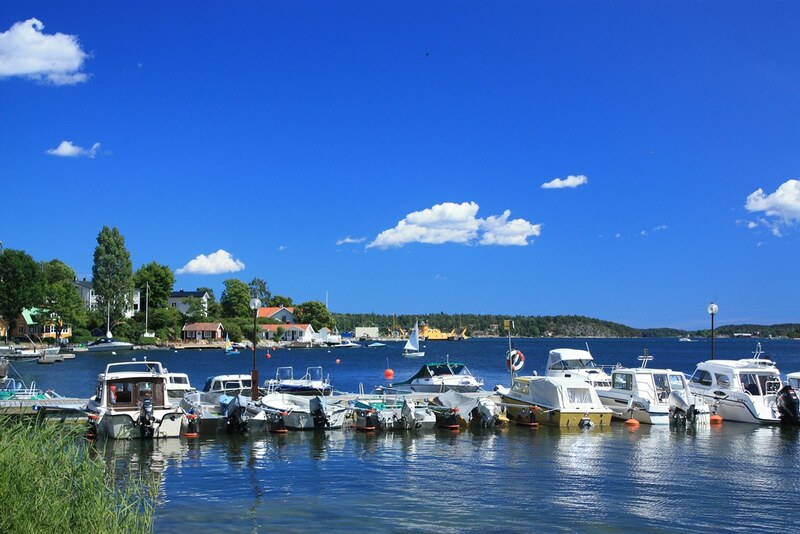 But if you’re looking for something different in the Stockholm area, Vaxholm is an ideal daytrip for some peace and quiet by the water’s edge. 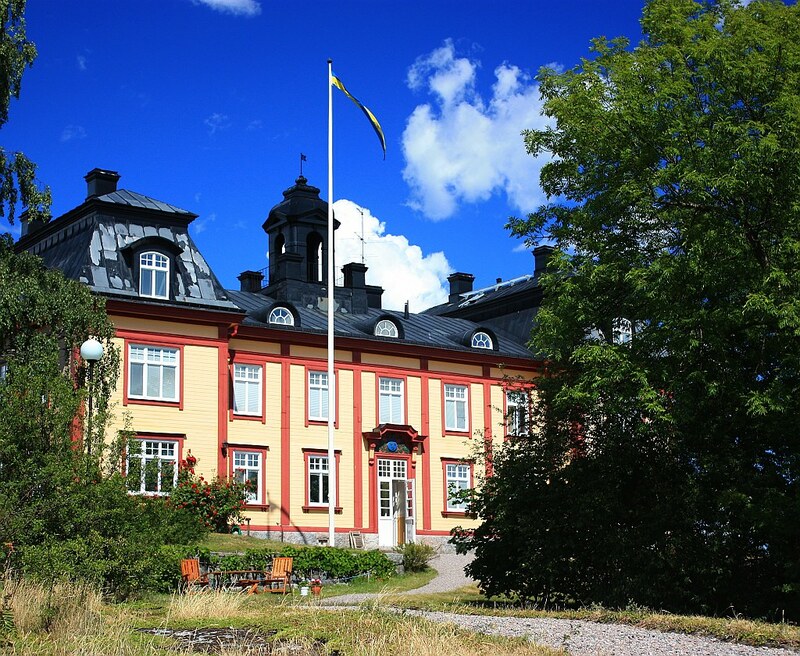 Located about 200 metres southeast from Kungsträdgården T-Bana (metro) station, Stockholm Strömkajen (harbour quay) is where to catch a ferry to Vaxholm Hotellkajen (hotel quay). 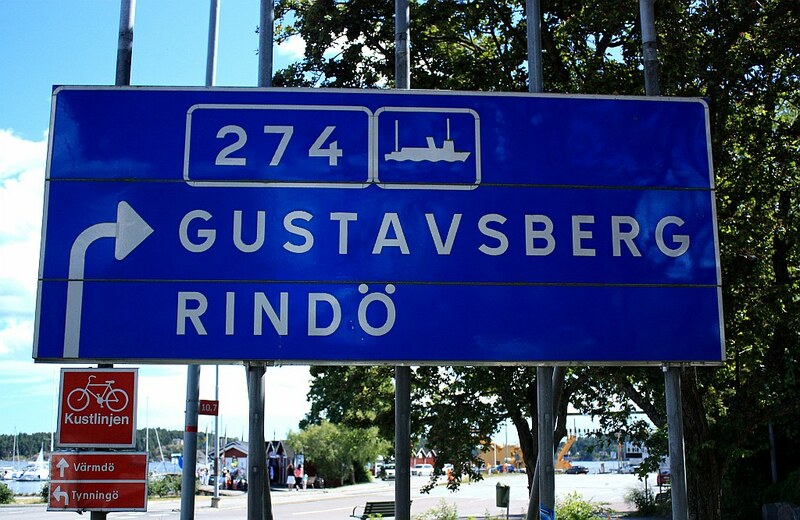 Alternatively, you can take Metro T-Bana red 14 line from Stockholm T-Centralen (Central Station) to stop “Danderyds sjukhus”, followed by a transfer onto the 670 bus to Vaxholm. 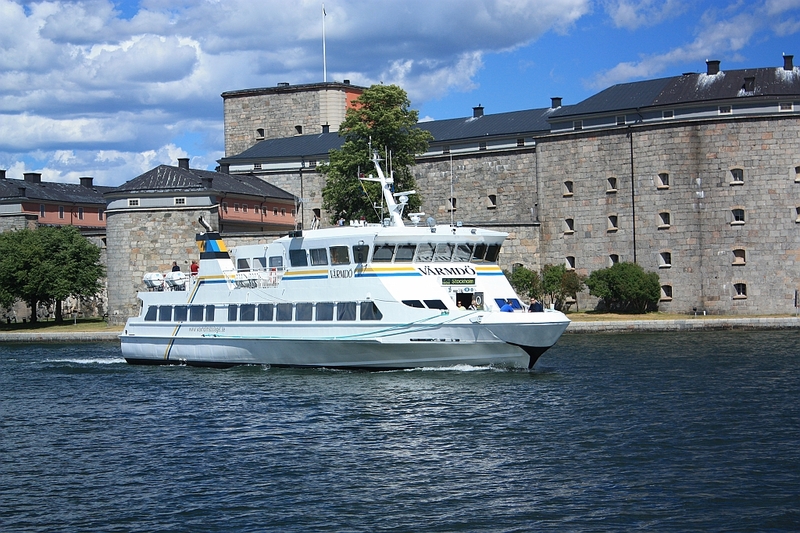 Check out the sl.se journey planner (in English) and enter “Stockholms C (Stockholm)” and “Vaxholm (Vaxholm)”. This is also mapped out at rome2rio.com. I made the photos above on 26 June 2008 with the Canon EOS450D camera, EF-S 18-55mm f/3.5-5.6 IS kit-lens, and a circular polarizer. This post is published on Fotoeins Fotopress at fotoeins.com as http://wp.me/p1BIdT-RA. Adds+mods: 20130705, 20140629, 20150531. The blues are beautiful! Good job on capturing the hues!!! Love!!!! So beautiful and peaceful, lovely photos. 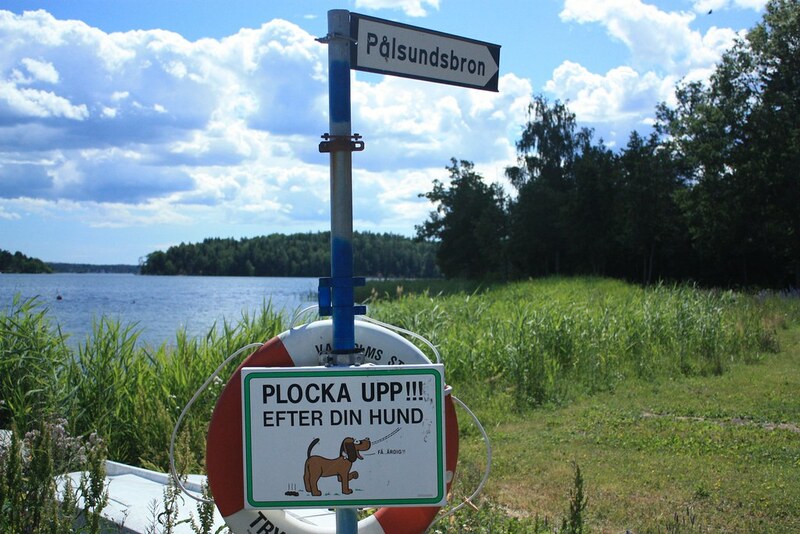 If I get a chance to visit Sweden, I’m definitely going in the summertime! Hi, Mark. Stockholm is a great city to visit, especially in long summer days. It’s very green, and the archipelago/water is very accessible, as I hope I’ve shown in the post above. Thank you for reading and for your very kind comments!